A quick way to create a view to show file size statistics across databases on a server. Create the div as normal using HTML and CSS. In the div you will need to place the link you are wanting to be accessible. Inside that link you will need an empty span tag. A few quick steps to creating a bootable Windows 7 USB flash drive. Especially useful for those netbooks that do not have a CD/DVD drive, or for when the optical drive is broken. There are utilities out there to do this, – I think even Microsoft has one, but if you want to get back to basics and use the command prompt this is the method to do so. The number of your USB drive will listed, – I’ll assume that the USB flash drive is labelled disk 1. After this you will ll have a formatted USB flash drive which is now ready to be made bootable. Any way you see fit, even using Windows explorer to copy all files on the DVD on to the formatted flash drive. Once you have done this, you can reboot and get installing. Quite some time ago now I wrote about the importance of 301 redirects for SEO purposes. 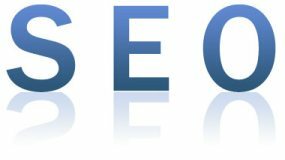 In a minor addition to that post here is a snippet I often use to ensure search engines do not view http://yourdomain.com and http://www.yourdomain.com as duplicate content. To perform a redirect from domain.com to www.domain.com, insert the following code into your .htaccess file. To perform a redirect from www site to non-www site, use the following code in .htaccess file. Where is my Firebug icon? The icon of the wonderful plugin Firebug recently moved from its familiar location at the bottom right corner of Firefox. This was due to a UI change in the status bar of Firebox from version 4 onwards. The Firebug blog does a good explanation of why this was necessary. What I did to fix however was to type about:config in my Firefox address bar. I accepted the “I’ll be careful, promise!” warning. Finally I changed “extensions.firebug.showStatusIcon” to true. 29/01/2012 From the number of pageviews this post receives I see this is common problem. I hope it helps people solve the issue. Posted on August 19, 2011 January 29, 2012 Categories Development5 Comments on Where is my Firebug icon? Facebook recently moving their applications inside an iFrame has turned web development on its head once again. After being deprecated in XHTML and barely hanging on in HTML iFrames looked like they had all but become extinct. Not so! So, although other browsers do not block and intercept your cookie within an iFrame (and hence Facebook application) Internet Explorer will do. The problem lies with the W3C standard called Platform for Privacy Preferences (P3P) and you can read about it here if you wish. Note: by using such a P3P statement you are making a legal statement about how your application handles cookies and if you are later found in violation of the statement you make, you may find yourself in criminal or civil hot water.